On August 19, 1942 the Allies launched their first attack on mainland Europe at the French port of Dieppe. At dawn, five thousand troops stormed the beaches, but in the end, it was a disastrous failure with thousands of soldiers killed and taken prisoner. 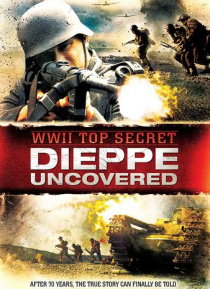 Dieppe Uncovered brings the events of the day to life, reenacting key moments of the raid and revealing a fact previously ignored by history boo… ks. The leader of the secret 30th Assault Unit behind the raids was none other than Sir Ian Fleming.